Maybe it’s the fact that the figures look so damned good, or that they retail for reasonable prices, or maybe it’s just a Jedi mind trick. Either way, I’m compelled to buy two with every purchase. 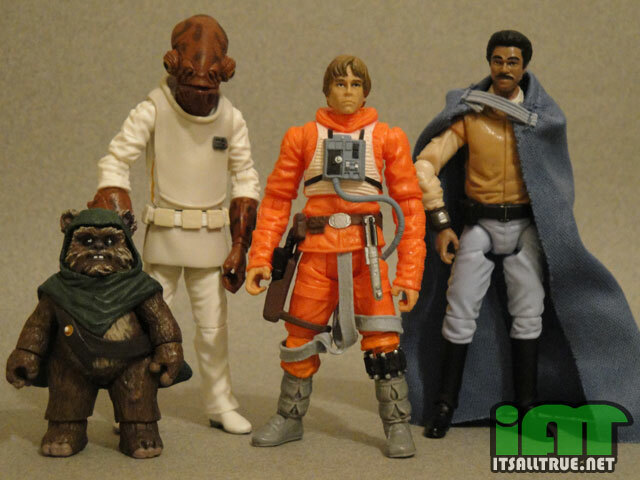 So when I picked up Lando, I also somehow found myself at checkout with Dagobah Landing Luke Skywalker. I’m not that big a fan of Luke. Sure he’s the hero, but he’s also way to whiney for my tastes. So I didn’t have a lot of figures of him as a kid. I seem to remember playing with his X-Wing version back in the 80’s, but that figure’s long gone now. 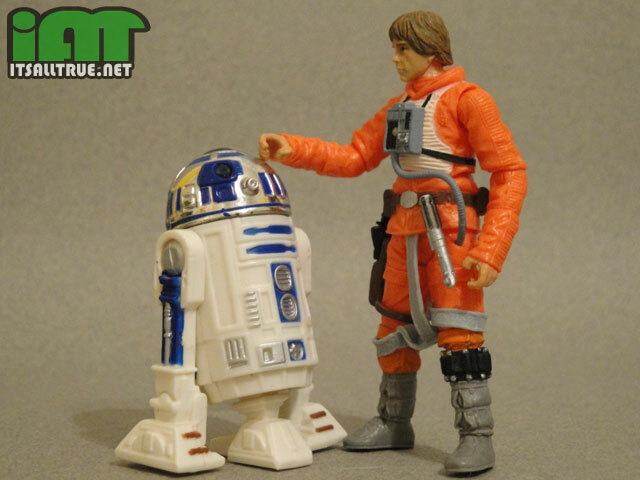 Looking through my Box-o-Star Wars toys, I guess I never bought a Luke from the 90’s. So this may be only the second Luke Skywalker figure I’ve ever owned. 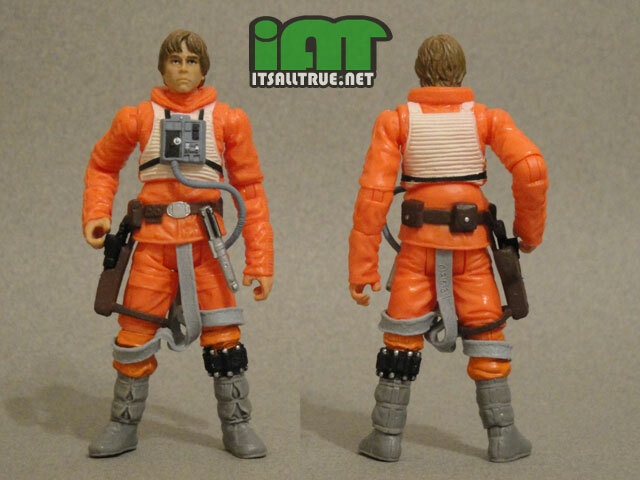 The really interesting thing about this figure is that it’s a version of Luke we’ve never seen before. Sure he’s had plenty of plastic appearances in his X-Wing duds, but this is apparently the first one based off of his crash landing in the Dagobah swamp. It’s kind of interesting, and makes me wonder how many more scene specific costumes haven’t been done as toys yet. I definitely bought this figure for his looks. He’s mostly a reuse of the 2009 Legacy Collection Luke from Empire Strikes Back, but this one has a definite lack of his Hoth gear. Most noticeably is the absence of his gloves and little white cap he wears under his helmet. I have to admit the sculptors did a really good job. I didn’t even realize they were the same base figure until I saw someone mention it online, and even then I had to compare them myself to be sure. This figure’s head sculpt is perfect. 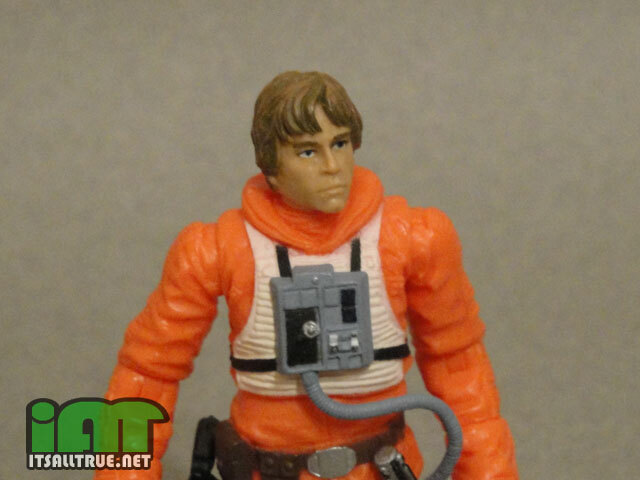 The Vintage Collection always impresses me with their spot-on impressions of the actors, and this Luke is no different. The sculptors were able to capture that slightly unsure/worried/whiney look that Mark Hamill so often used. Add that little part of hair they gave his bangs and it looks like he stepped right out of the card art. I have to say, I’m more and more impressed with these SW figs you’re reviewing. I can’t believe they actually are giving figures holsters that actually hold the gun. Sadly, due to material restrictions they look huge and kinda bulky but man, I would have killed for that back during the original figures run in the late ’70s. I’m also impressed they’re still including both lit and off lightsaber hilts. Yet another great review, Vault! The amount of detail they’re packing into these new figures is really great. I can already tell this line’s going to be a new drain on my wallet, lol. Agreed, the sheer quality of reviews on this site can only be applauded. Another Figure I was so-so about (how many Pilot Lukes does a Guy need?) but having seen the likeness I know I’m going to end up getting this one – if I can actually find it. The monkey-arms are annoying though, same thing on the recent Vintage Anakin, makes me sometimes wonder if Hasbro really does have a special consultant who takes current figures to damn close to perfection but then throws in some random imperfection that means there will always be one more version down the pike that “corrects” the defect and makes Mugs like me pick up another sale. Keep the Star Wars love coming. The new Dagobah Landing Luke is great, but the long arms started to drive me crazy over time. But, now that I’ve brought the back to scale the figure is in perfect proportion, however he doesnt hold the saber with two hands as easily. But hey, I’d rather have Luke holding a saber in one hand than an ape dressed as Luke with a saber in two!